We are pleased to introduce this new set of theatre standards. The Wisconsin Standards for Theatre has been adopted by the Wisconsin State Superintendent for school districts to consider in their work with theatre education programs. This site provides a video which highlights the standard's framework and links to a full standards document, as well as individual strand versions. Additional resources will be added over time to support the implementation of the standards. We encourage you to visit this site often to see what is new. Check the Fine Arts Professional Development Calendar for online and face to face standards sessions. The Theatre Performance strand identifies activities that focus on the techniques of acting. The Theatre Production strand focuses on the behind the scenes activities such as lighting, sound, stage management, and costume design to name a few. Wisconsin Standards for Theatre writing team members, Kristi Ross-Clausen and Adam Jacobi, and Fine Arts Education Consultant, Julie Palkowski, guide viewers through the new standards and resources. Here is the recording of that session. An Introduction to the Wisconsin Standards for Theatre - webinar 11 minutes 50 seconds. Wisconsin Standards for Theatre writing team members, Kristi Ross-Clausen and Adam Jacobi, and Fine Arts Education Consultant, Julie Palkowski, share resources developed for the standards. Click on Resources for the Wisconsin Standards for Theatre video (18 minutes) link or view the slide deck with script. Learn more about the Wisconsin Standards for Theatre. In Wisconsin, a wide variety of theatre education programs is available to students. The 2018 Wisconsin Standards for Theatre offers a voluntary single set of standards to guide and prepare students to be college and career ready in all school settings, including traditional, Advanced Placement (AP), International Baccalaureate (IB), Montessori, and other models. School communities have the opportunity to tailor and expand these areas through their own curriculum work. Increase knowledge of theatre for all students through investigating various aspects of theatre across time and cultures. The Wisconsin Standards for Theatre focus on the artistic processes of Create, Perform, Respond, and Connect through two strands – Performance and Production. The standards are inspired by the National Core Arts Standards (2014). The Wisconsin Standards for Theatre are organized by grade bands: K-2, 3-5, 6-8, and 9-12. This allows for some flexibility in instruction and greater differentiation for the support of students over time. All levels identify proficient for the older grade level in that band. Supplemental materials providing additional levels, such as those in early childhood and for advanced theatre levels, are being investigated. There are four theatre standards identified for grades kindergarten through 12. These conceptual ideas take into consideration the current Wisconsin Model Academic Standards for Theatre (1997) and the National Core Arts Standards (2014), as well as other state examples available and reviewed by the writing team. The overall concept for the theatre standards provide what students should know and be able to do in the identified grade bands. Performance indicators provide student learning expectations to support the standards. The performance indicators allow for flexibility for educators and school communities to identify more specific elements through their own curricular development. This document focuses on the what (and not the how) a learner will know when they reach the identified performance indicators. This set of standards does not prescribe specific strategies, knowledge sets, or theatre examples, but rather allows the school community to identify these areas through their own theatre curriculum plan. The two strands differentiated within the standards are defined as Theatre Performance and Theatre Production. Standard: Broad statement that tells what students are expected to know or be able to do. Artistic Process: Breaks down the broad statement into manageable learning pieces. Performance Indicator by grade band: Measurable degree to which a standard has been developed or met. 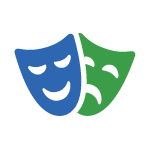 Theatre Lesson Plan Templates - Aligned to the Wisconsin Standards for Theatre and the Wisconsin Department of Public Instruction Disciplinary Literacy Tools. Theatre Performance and Theatre Production strands in each grade band is available within the online resource. Click the link to make a copy and then store and edit on your own device. Google Folder - Theatre Safety - Articles and links are archived in this folder. The Wisconsin Department of Public Instruction has a transparent and comprehensive process for reviewing and revising academic standards. The process involves the wide gathering of ideas from multiple persons including teachers, administrators, parents, business professionals, theatre industry and service organizations, and leaders from across the state. The process is outlined within the standards review/revision process link. The Theatre Writing Committee started their review in May 2018 and worked throughout the spring and summer of 2018. The committee reviewed survey feedback, the current Wisconsin’s Model Academic Standards for Theatre Education (1997), and other theatre standards examples including the National Core Arts Standards for Theatre (2014). Another part of the process included the public release of a draft with an accompanying survey to gather feedback from the public, key stakeholders, and educators, and a set of public hearings. This feedback further informed the writing committee in their work. The following links provide more information about this process. The final draft of the Wisconsin Standards for Theatre was presented to the State Superintendent's Standards Review Council (SSSRC) on September 11, 2018. The SSSRC approved the draft submitted by the Theatre Writing Committee and State Superintendent Evers approved the Wisconsin Standards for Theatre on December 10, 2018. This work is made possible through the efforts of a dedicated team of educators, administrators, higher education staff, and theatre industry professionals. The Wisconsin Standards for Theatre (2018) was shaped with the goal of creating a tool for educators, parents, community members, and learners to use in their building of skills and knowledge in theatre. Members of the writing committee donated numerous hours and shared their expertise in the development of the theatre standards document. The majority of the resources used in developing the Wisconsin Standards for Theatre came from the Wisconsin Model Academic Standards for Theatre (1997) and the National Core Arts Standards in Theatre (2014). The artistic processes of this work are based on the National Core Arts Standards © 2015. Rights administered by State Education Agency Directors of Arts Education (SEADAE) (All rights reserved). The Wisconsin Department of Public Instruction (WI DPI) will be updating the resources on this page to support districts in learning about and implementing the theatre standards. WI DPI supports a three-year implementation for districts to ensure appropriate time to fully implement the music standards into the curriculum, instruction, and assessment. District Teams - As Wisconsin school districts begin to implement the Wisconsin Standards for Theatre, they are encouraged to consider the overall needs of the students in their care. It is essential that the school community discusses the delivery of the standards through a thoughtful alignment of instruction, learning, and assessment. Other factors to support this work will include planned professional learning to build educator and learner capacity of the key theatre concepts. The use of collaborative leadership teams provides a solid start in ensuring proper planning and budgeting to support high-quality learning experiences that focus on access for all students. The principles of Universal Design for Learning (UDL) and equitable learning opportunities for all students are a central focus of the team. In addition, districts are encouraged to leverage the Wisconsin Standards for Theatre to implement instructional support systems that align with the local Every Student Succeeds Act (ESSA).